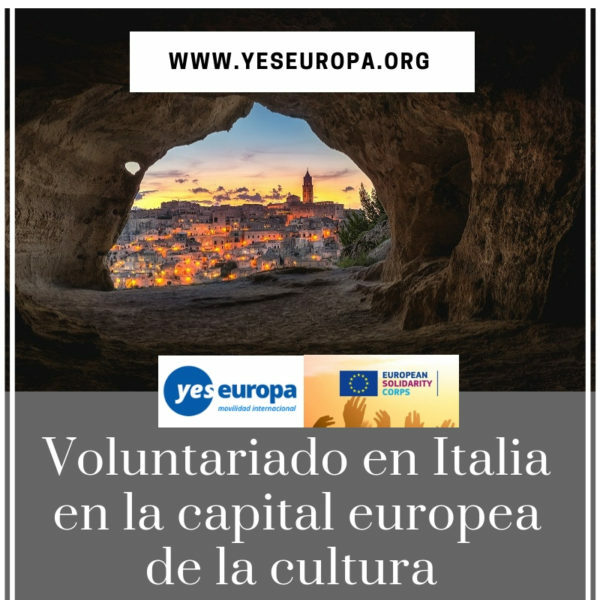 Anímate a realizar un voluntariado en cultura y juventud en Italia. Lugar Matera, Fechas: 01/10/2018 to 30/09/2019 . Todos los gastos incluidos. Si te apetece ver otras oportunidades en Italia, echa un vistazo aquí. Pedibus: it is a “bus” made of people who go on foot, which allows a gradual but significant change in habits regarding the choice of household mobility, especially regarding the home-school accompaniment. It has its own itinerary, timetables and precise stops. The Pedibus is made up of children who go to school and two adults, one “Driver” and a “controller “. Particular attention has been given to all the disciplines that are best able to adapt to this age group and the environment in which the project takes place: parks, squares, little pitches and abandoned public places. where sports and street arts workshops have been organized: parkour, juggling, skate, soccer and street basketball, street art and hip hop. SportAntenne: Sport against discrimination: the project promoted by Uisp and Unar in two years of activities in 13 different Italian cities, including Matera and Basilicata, showed that through sport we can bring out and report episodes of racism. After a long process of enhancement that led to the recognition of the Sassi (the ancient part of the city) as heritage of humanity (UNESCO), in recent years Matera has been characterized by its liveliness cultural heritage and the ever-increasing ability to attract cultural and quality tourism. Volunteers will live in a shared flat in the city and will get daily allowance and pocket money. Local transport will be covered by the organization. available to contribute to the resolution of any voluntary need. In order to facilitate the integration of the volunteer not only in the organization, but also in the community local, a mentor will be identified. Interest in sport, skills in social inclusion, capacity in working independently and in international teams with good knowledge of English and other European languages, strong interest in Cultural capitals issues. All documents written in English you can attach below with subject “EVS Matera,Italia. YOUR NAME. YOUR SURNAME” . Please, specify if you apply for the TV project or the New Media project.